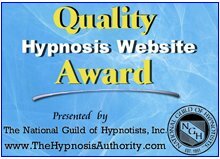 However there several important things to consider before signing up for a hypnosis training course. Especially if it is one of the "become a hypnotist in a week-end" type courses that are advertised all over the Internet. To help you save your time and money, learn from this series of 6 videos I've developed for you. They explain the key things you need to know about before deciding on this career choice. And certainly before you invest one single dollar in any training. You can see the first one by clicking on the video below now. Click here now to download the free Full Time Income report referred to in the video. Here is the 2nd video in the series. Here is the 3rd video in the series. Receive the free report mentioned in the videos by clicking here. Here is the 4th video in the series. If you are finding this video series helpful please share it by clicking on one or more of the networks below because it will help others like yourself if you do. Click here to access the Full time income report. Here is the 5th video in the series. Download the free report here. Here is 6th video in this series. I hope these videos have been helpful to you. Next step is to download the free report here if you have not already done so. PS Please share this page by clicking on one or more of the links below because it will help others like you to find the information.